Also, I'm on antibiotics for a dumb infection in my tooth. Pleh. The Amoxocillin is also kicking my booty. But I do have the possibility of a career as a production illustrator. 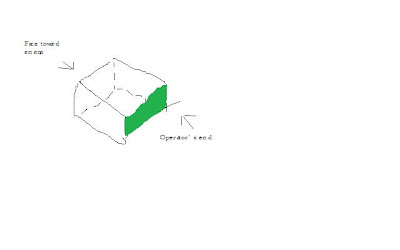 Look at my detailed design for a scanner. That's me, Drew "Michaelangelo" Bellware, just doin' some design work. Yeah me. I drew a box.